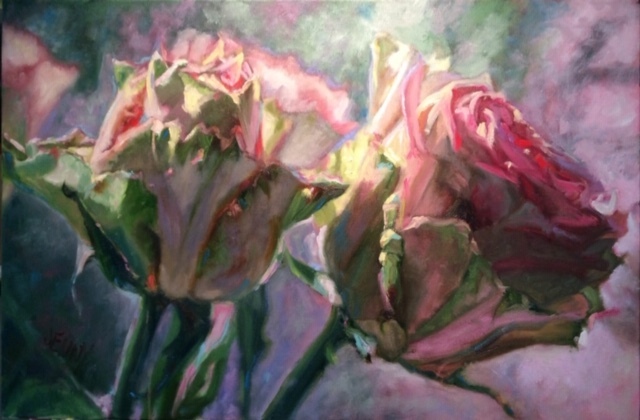 When Jenny Buckner paints, her goal is to capture the personality and nature of her subject. She feels this is achieved when her paintings stir an emotional response in the viewer. Jenny enjoys figurative work, and has an ability to beautifully capture people in everyday life. 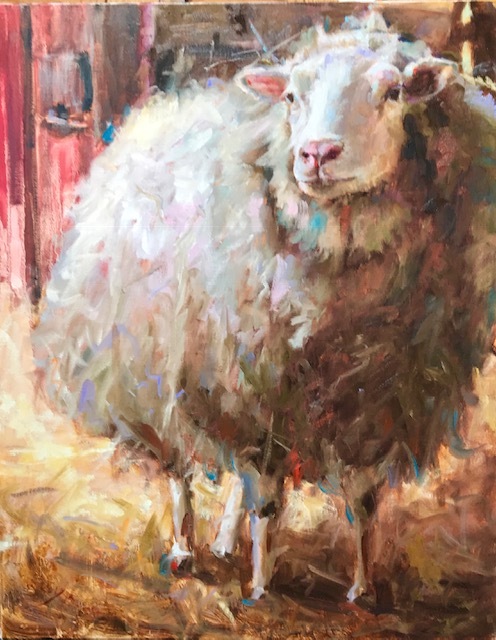 Jenny also has much experience painting the animals she loves such as horses and mules, bears, dogs, cats, and swans; inspired by her own pets and a nearby lake habitat, or the mountain culture of her surroundings. 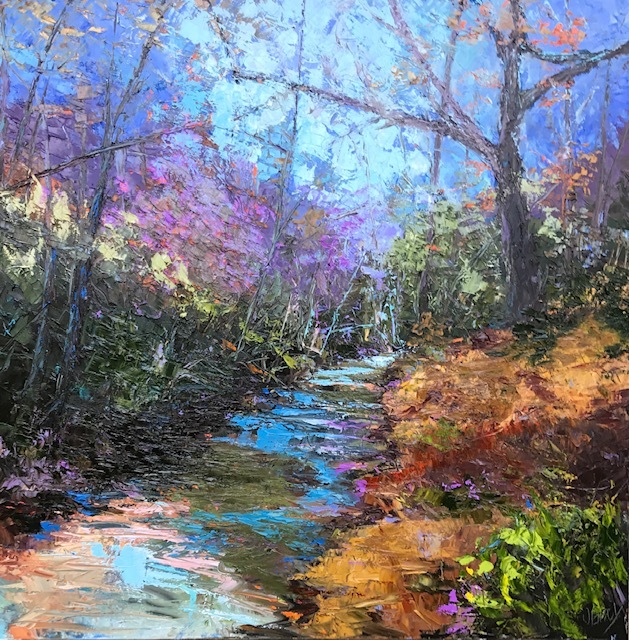 As much as she loves figurative work, Buckner also immerses herself in painting florals or landscapes and is a master at capturing light and shadows. 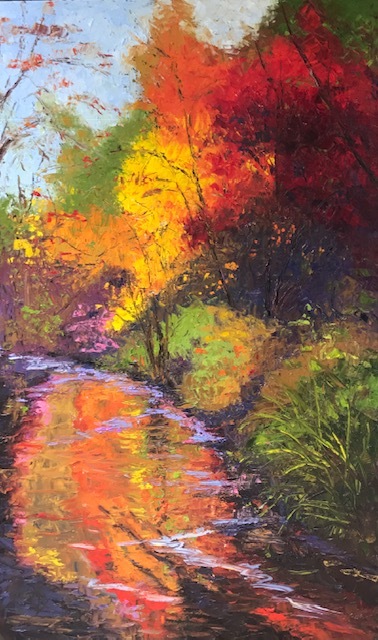 Her paintings are vibrant and her color choice can be surprising! Jenny’s paintings truly pull you in to seeing how she absorbs the world around her. Born and raised in the Western NC area, Jenny had an artistic Mom but she never had plans to be an artist herself. She thought she’d perhaps be a veterinarian, or go into floriculture. But during a difficult time in 1998 Jenny had a dream with a strong message, God told her to paint! And she did. During the following year she understood her gifting and found that paintings just flowed out of her! She went on to win a national competition with one of her paintings in that very first year. Jenny has since won multiple awards, been featured in newspapers and magazines and spends part of her time teaching intermediate level and advanced level students. When she’s not in the studio Jenny enjoys playing tennis, and spending as much time as possible with her first grandchild. Need new paintings for your home or office? Let’s go on an art tour and see this prolific artist! It’ll be a joy to meet Jenny and see her latest paintings in person.